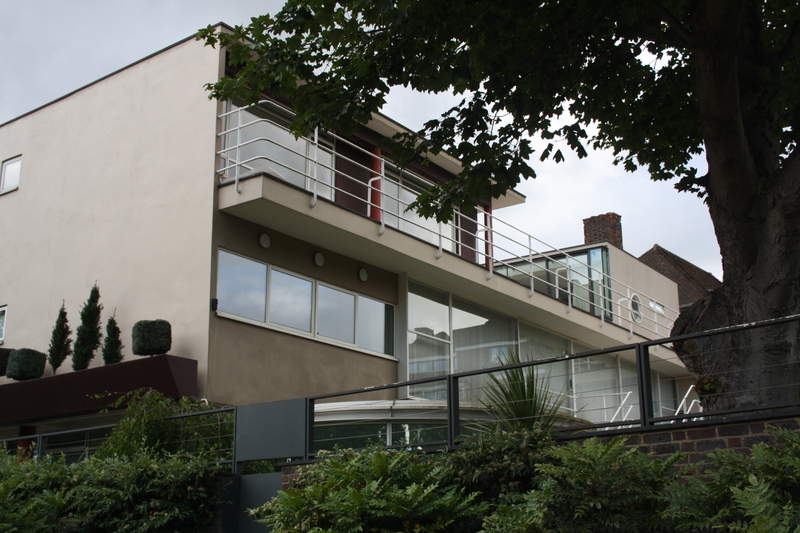 Sun House, Frognal Way (1935). Designed by Maxwell Fry. 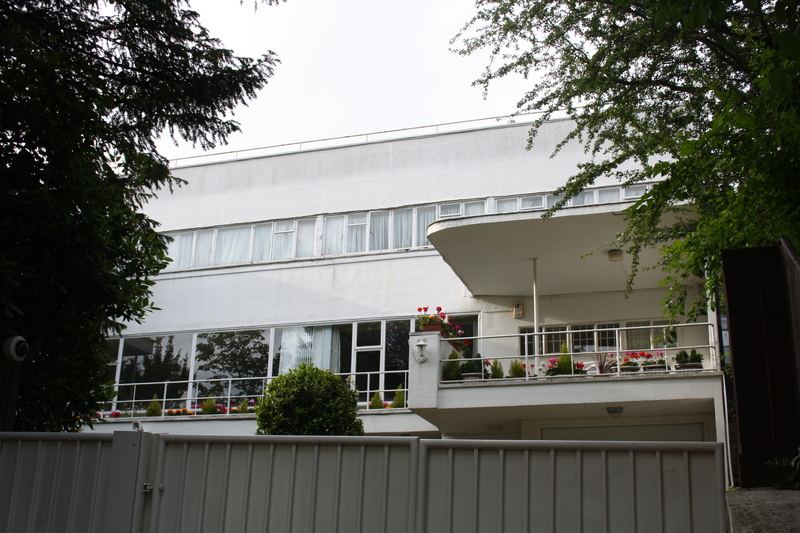 66 Frognal (1936-37). Designed by Connell, Ward & Lucas. 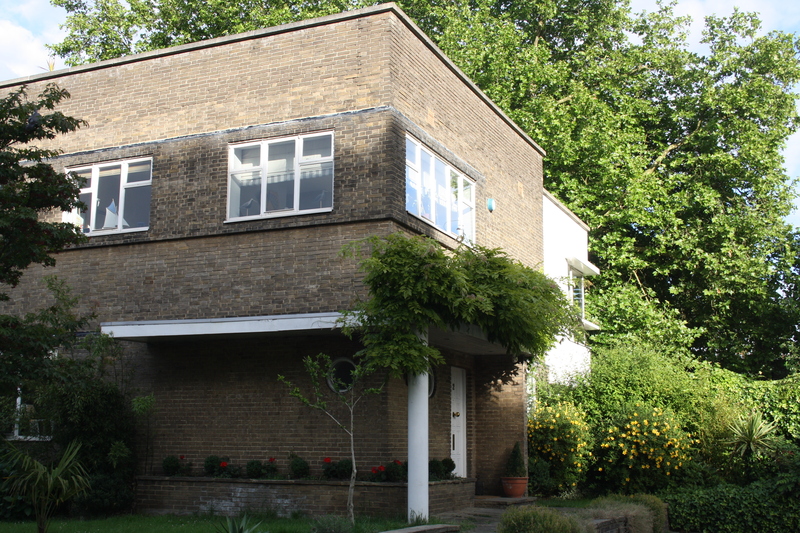 1-6 Frognal Close (part) (1937). Designed by Ernst Freud. 13b Arkwright Road/The New House (1939). Designed by Samuel & Harding. 49a Downshire Hill (1975). Designed by Michael & Patricia Hopkins as their own residence. 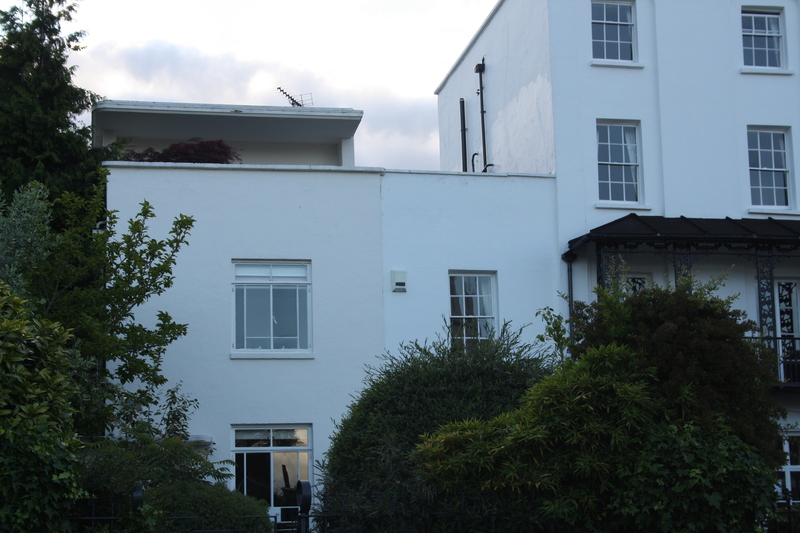 13 Downshire Hill (1936) - on the far left of the photo. Designed by Michael & Charlotte Bunney as their own residence. 1-3 Willow Road (1938). 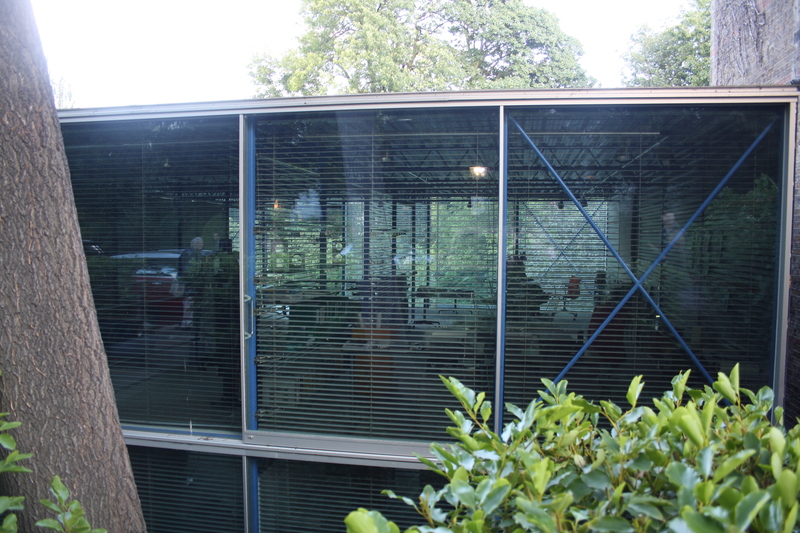 Designed by Erno Goldfinger, with number 2 as his own residence. 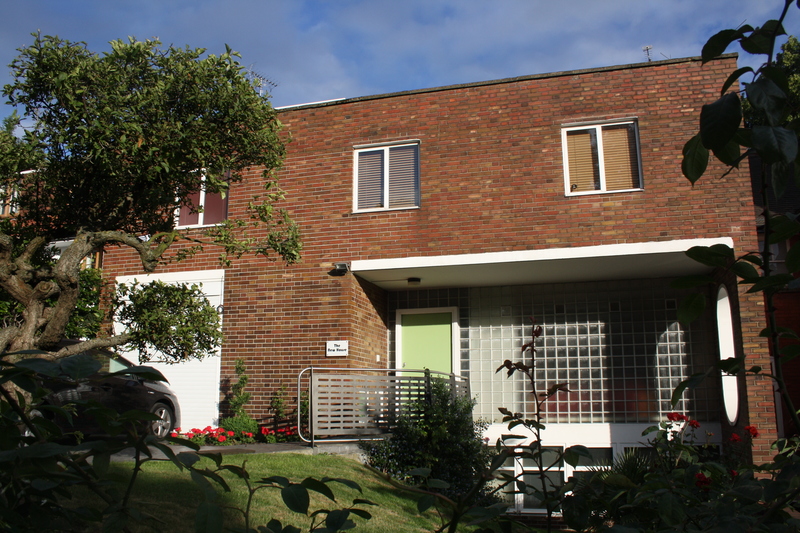 Left: 78 South Hill Park (1965), designed by Brian Housden. 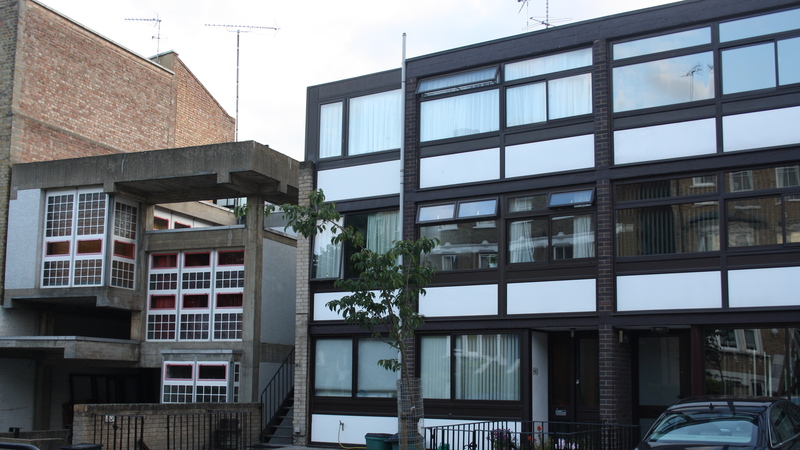 Right: 80-90 South Hill Park (1956), designed by Stanley Amis, Gillian & William Howell. 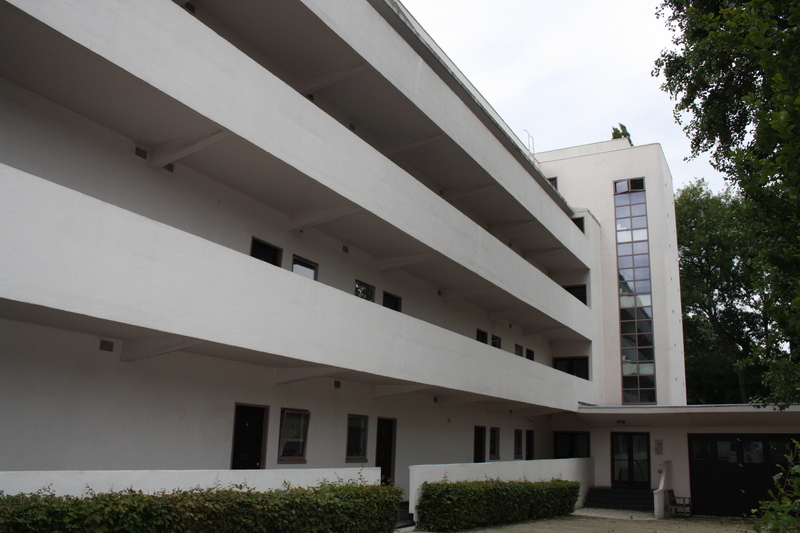 Lawn Road Flats/Isokon Flats (1929-32). 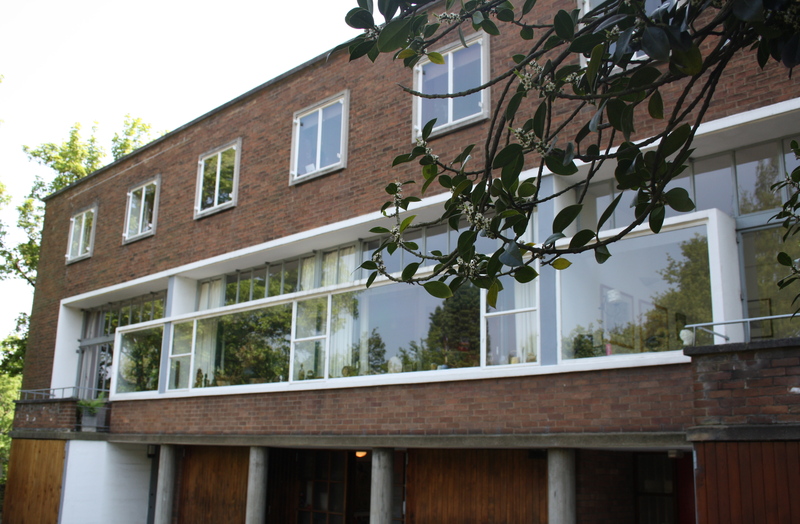 Designed by Wells Coates. This entry was posted in Architecture, Walking tours and tagged 2 Willow Road, hampstead architecture, London architecture by thelondonphile. Bookmark the permalink. The garage of the Lawn Road Flats has been converted into a gallery that tells the story of the building and its famous residents.